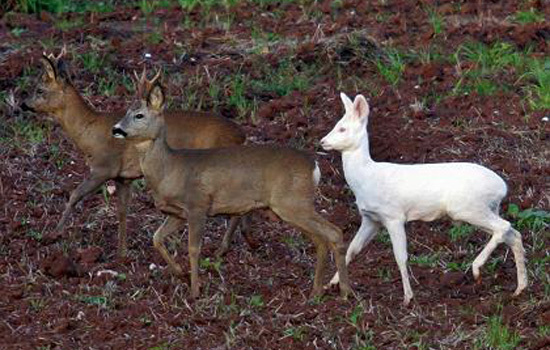 So will this as yet unnamed “snow-white deer with pink eyes skin” become another hysterically inconsequential megaspectacular media event to rival Paris Hilton and Natalee Holloway? Will Deutsche Welle send reporters to interview conservationists and celebrities pleading for the hunters to leave it alone? “As a rarity and natural phenomenon, it should be allowed to live,” these environmentalists will probably say. 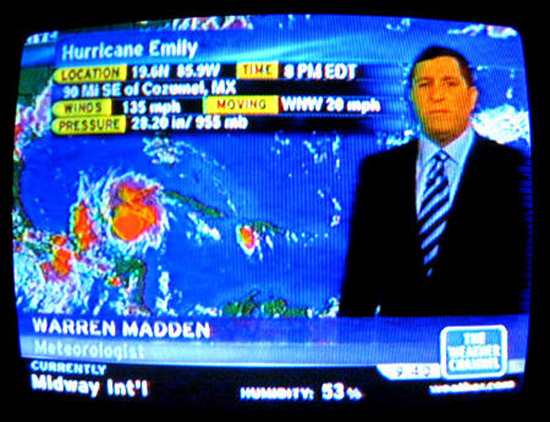 In any case, I'd like to resurrect an old proposal for a new cable channel, sort of a cross between The Weather Channel and Animal Planet, providing round-the-clock, real-time reports and analysis of news events at the intersection of human and animal cultures. From their worldwide headquarters in Chicago, legions of landscape architects, all in their matching red correspondent jackets, will be flown in to Alaska to cover the arrivals of Avian flu-infected birds; to new Floridian exurban developments where alligators prowl the streets; to remote bird sanctuaries where orphaned birds are instructed in the ancient art of flying; to Nigeria where pet hyenas and baboons are all the rage; to all the major urban parks presently being invaded by the wilderness; and to Oslo to cover the culture war over the recently opened exhibit on gay animals.